In hydroxyl functional group (–OH) is bound to a saturated carbon atom. The term alcohol originally referred to the primary alcohol ethyl alcohol (ethanol), the predominant alcohol in alcoholic beverages. The suffix -ol appears in the IUPAC chemical name of all substances where the hydroxyl group is the functional group with the highest priority; in substances where a higher priority group is present the prefix hydroxy- will appear in the IUPAC name. The suffix -ol in non-systematic names (such as paracetamol or cholesterol) also typically indicates that the substance includes a hydroxyl functional group and, so, can be termed an alcohol. But many substances, particularly sugars (examples glucose and sucrose) contain hydroxyl functional groups without using the suffix. An important class of alcohols, of which methanol and ethanol are the simplest members is the saturated straight chain alcohols, the general formula for which is CnH2n+1OH. 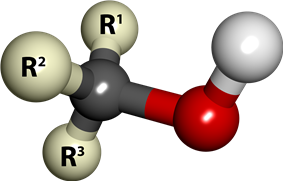 Ball-and-stick model of tert-Amyl alcohol, which is 20 times more intoxicating than ethanol and like all tertiary alcohols, cannot be metabolised to toxic aldehydes. Some secondary and tertiary alcohols are less poisonous than ethanol because the liver is unable to metabolize them into toxic by-products. This makes them more suitable for pharmaceutical use as the chronic harms are lower. 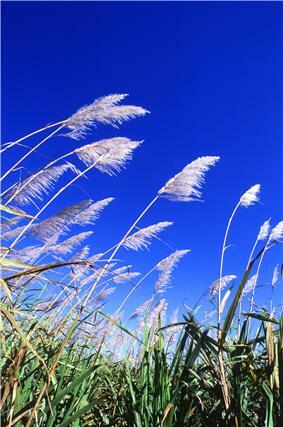 Ethchlorvynol and tert-amyl alcohol are tertiary alcohols which have seen both medicinal and recreational use. Isopropyl alcohol is oxidized to form acetone by alcohol dehydrogenase in the liver but has occasionally been abused by alcoholics, leading to a range of adverse health effects. Encyclopædia Britannica states, "The higher alcohols - those containing 4 to 10 carbon atoms – are somewhat viscous, or oily, and they have heavier fruity odours. Some of the highly branched alcohols and many alcohols containing more than 12 carbon atoms are solids at room temperature." 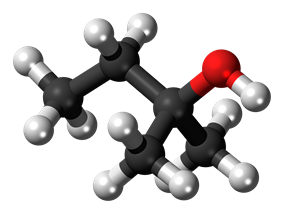 Like ethanol, butanol can be produced by fermentation processes. Saccharomyces yeast are known to produce these higher alcohols at temperatures above 75 °F (24 °C). The bacterium Clostridium acetobutylicum can feeds on cellulose to produce butanol on an industrial scale. Alcohols have applications in industry and science as reagents or organic synthesis, alcohols serve as versatile intermediates. Several of the benign bacteria in the intestine use fermentation as a form of anaerobic metabolism. This metabolic reaction produces ethanol as a waste product, just like aerobic respiration produces carbon dioxide and water. Thus, human bodies contain some quantity of alcohol endogenously produced by these bacteria. In rare cases, this can be sufficient to cause "auto-brewery syndrome" in which intoxicating quantities of alcohol are produced. halohydrin formation reaction. Amines can be converted to diazonium salts, which are then hydrolyzed. In the trimethylborane-water complex in a radical substitution reaction. ^ IUPAC, Compendium of Chemical Terminology, 2nd ed. (the "Gold Book") (1997). Online corrected version: (2006–) "Alcohols". ^ a b Etymology of the Word "Alcohol"